Pride of MaderaSemi-evergreen shrub. Hardy to 25-30 degrees F. Fast growth. Long gray-green leaves a..
ElaeagnusEvergreen shrub. Large dense form with broad, leathery, dark or metallic sea-green leaves. ..
ElaeagnusEvergreen shrub. Mounding form. Golden yellow edging on leaves with dark green centers. Sil..
SilverberryEvergreen shrub. Fast growth. 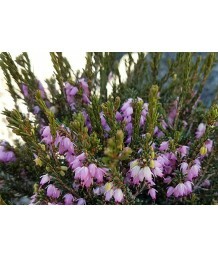 Tough evergreen shrub with fragrant pendent flowers during ..
SilverberryEvergreen shrub. Fast growth. Tough plant with a large dense form. Angular branches with ..
SilverberryEvergreen shrub. Trained to grow on a trellis. Fast growth. Tough plant with a large dens..
SilverberryEvergreen shrub. Fast growth. Arching branches are somewhat spiny. 3-4 inch long leaves a..
Coast/Bush SunflowerSemi-evergreen perennial. Deciduous in colder climates. California native. Deep ..
Brittlebush/InsiensoSemi-evergreen perennial. 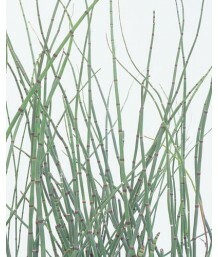 Rounded shrub features wooly, silvery leaves on stiff ..
Horsetail RushEvergreen shrub. Bushy looking plant with whorls of slender, jointed green stems that ..
Winter HeathEvergreen small shrub or groundcover. Fine, short, needle-like leaves. Creamy buds open ..
Bell Flower Heath/Bell HeatherEvergreen small shrub or groundcover. 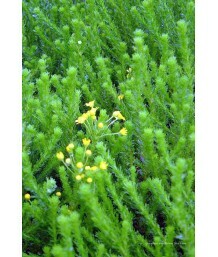 Fine, short, needle-like green l..
HeathEvergreen small shrub or groundcover. Fine, short, needle-like leaves. 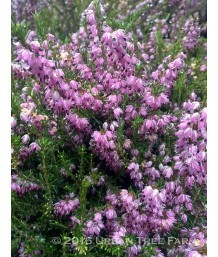 Slightly scented magenta..
HeathEvergreen small shrub or groundcover. Fine, short, needle-like leaves. 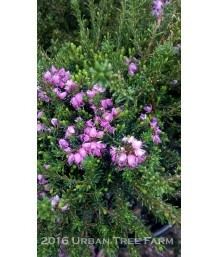 Slightly scented bright ..
HeathEvergreen small shrub or groundcover. Compact habit. 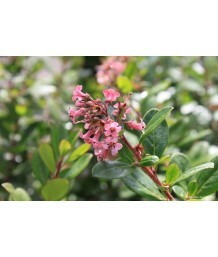 Deep rose pink flowers bloom in late fall ..
HeathEvergreen small shrub or groundcover. Compact habit. 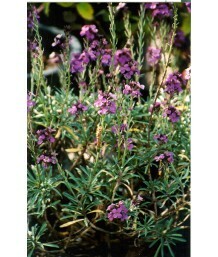 Purple-pink flowers bloom in late fall to ..
HeathEvergreen small shrub or groundcover. Fine, short, needle-like leaves are green tipped with cre..
HeathEvergreen shrub. Small but with an upright bushy habit. Fine, short, needle-like leaves are gre..
Santa Cruz Island BuckwheatEvergreen shrub. Large, shrubby habit with narrow pale green foliage. Stu.. Dwarf EscalloniaEvergreen shrub. Dense mounding form. Small shiny green leaves. Rich reddish pink fl.. 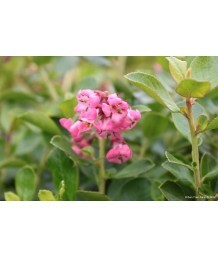 Pink EscalloniaEvergreen shrub. Moderate growth rate. Compact, rounded form. Small medium-pink flowe.. Pink EscalloniaEvergreen shrub. Pruned into a small, single trunk patio tree. Moderate growth rate. ..
EscalloniaEvergreen shrub. Dark, glossy green leaves. Clusters of petite, white flowers are popular .. Dwarf EscalloniaEvergreen shrub. Slow growth. Compact form great for low hedge or groundcover. Pink .. Pink EscalloniaEvergreen shrub. Slow growth. Small dark green shiny leaves. 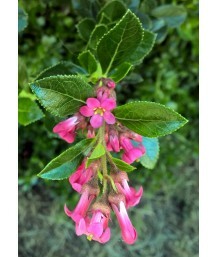 Pink flowers appear in e..
Red EscalloniaEvergreen shrub. Moderate growth rate. Upright rounded form. Small red flowers in summ.. 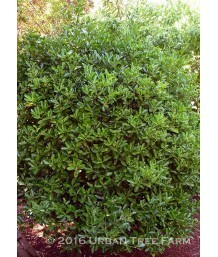 Dwarf EscalloniaEvergreen shrub. Moderate growth rate. Compact rounded form. 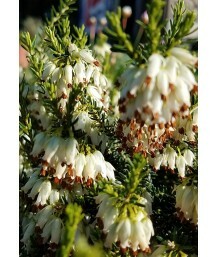 Small rose-red flowers ..
White EscalloniaEvergreen shrub. Fast growing. Dark glossy green leaves. Large branched clusters of ..
Pineapple FlowerPerennial bulb. Dark green leaves spread upward and outward. Flower stalks rise in m.. Winged Euonymus/Burning BushDeciduous shrub. Upright vase growth habit in youth, becoming spreading .. 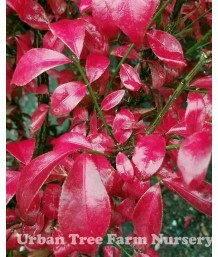 Winged Euonymus/Burning BushDeciduous shrub. Dense upright form. 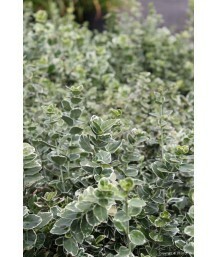 Finely serrated green leaves turn f..
Varigated EuonymusEvergreen shrub. 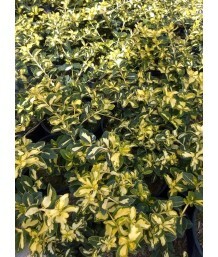 Bright yellow leaves with deep green margins grow into a low grou..
Winter Creeper EuonymusEvergreen shrub. Moderate growth. Ivy-like growth used as an evergreen ground..
Variegated Winter CreeperEvergreen shrub. Moderate growth rate. Dense mounding form. 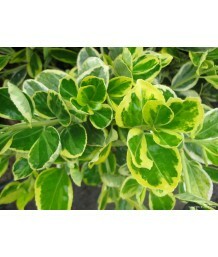 Small dark gree..
Variegated Winter CreeperEvergreen shrub. Dense mounding habit makes it an excellent small hedge or ..
Ivory Jade Winter CreeperEvergreen shrub. Moderate growth. 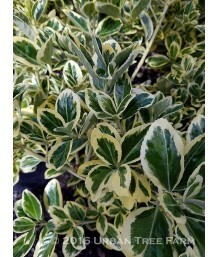 Rich green leaves with ivory white margin..
Variegated EuonymusEvergreen shrub. Moderate growth rate. Dense mounding form. Bright yellow leaves ..
Common Winter CreeperEvergreen shrub or vine. Groundcover with dark green, thick 1-inch leaves. Inco..
WintercreeperEvergreen shrub. Groundcover with a low, creeping habit. Dark green leaves have showy w..
Evergreen EuonymusEvergreen shrub. Moderate rate of growth. Densely foliaged with round form. Medium..
Evergreen EuonymusEvergreen shrub. Moderate rate of growth. Densely foliaged with rounded form. Medi..
Variegated Japanese EuonymusEvergreen shrub. Moderate rate of growth. Densely foliaged with rounded ..
Box-Leaf EuonymusEvergreen shrub. Columnar narrow hedge with lustrous, dark green leaves. Moderate w..
Box-Leaf EuonymusEvergreen shrub. Pruned into a pyramid shape. Columnar narrow hedge with lustrous, ..
Box-Leaf EuonymusEvergreen shrub. Slow growing. Densely foliaged mound. Small shiny green leaves. To..
EuryopsEvergreen shrub. Moderate to fast growing with round form. Deeply divided gray-green leaves, ..
EuryopsEvergreen shrub. 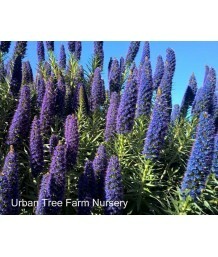 Full, upright grower but compact. Abundance of yellow flowers spring through..
EuryopsEvergreen shrub. Fast growing. Bright yellow daisy-like flowers almost year round. Deep gree..
EuryopsEvergreen shrub. Pruned into a small, single trunk patio tree. Fast growing. 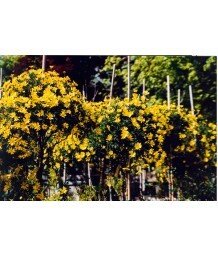 Bright yellow da..
Honey EuryopsEvergreen shrub. Fast growth. Yellow flowers nearly year round. Ruffled green foliage. ..
EuryopsEvergreen shrub. Fast growth. Yellow flowers nearly year round. Ruffled green foliage. Drough..